In case you missed it, Swagbucks has rolled out a new, more secure process for getting your gift card codes from their Rewards Store. All Gift Card codes are now delivered to the email address listed on your account.Once you click the button in the email, you'll be prompted to provide your password or login to your account.Once you've successful completed that step, you'll receive your gift card code! The link in your email is valid for 24 hours. 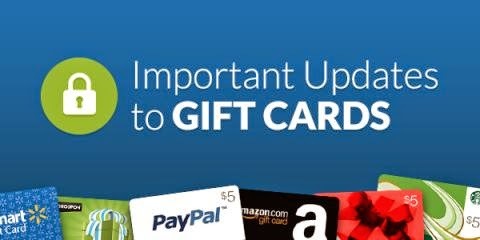 If the link has expired, just go to the My Gift Cards area and request a new email.This new upgrade will affect both new gift cards as well as any gift cards you have previously redeemed. If you haven't started earning free gift cards on Swagbucks, you can sign up by clicking my referral link - it's easy and it works.